STEM Lab, featuring computing, programming and robotics. Campers will be shown how to become active creators of digital content instead of passive consumers. 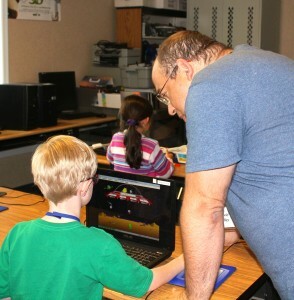 Kids grades 1st through 6th will create their own computer games, robotic systems, programs, animations, sound effects, digital art and more. Campers will be encouraged to express their creativity and design their own programs while making connections between programming and real world applications. 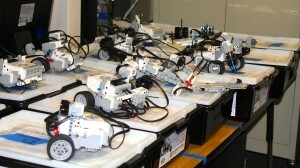 Younger campers will use LEGO WeDO robotics kits and program animated sequences. Older campers will either start off building their own computer and then programming, or use laptops to deploy LEGO MindStorms robotics kits. All campers will build, program and then run their creations. Our program includes elements of Scratch, Boolean logic, process, animation, movement, layers, sound effects, MIDI sequencing, Audacity, Gimp, and debugging. Whenever possible, we will use free, open source technology so that campers can continue their explorations beyond our summer activities.